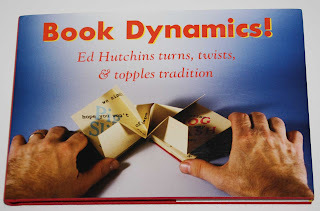 I've mentioned Ed Hutchins in earlier posts - one of my favourite book artists and a most kind and generous person. Ed taught some classes in Australia and New Zealand a few years ago so I was able to fulfil one of my ambitions, to do a workshop with him. At the time he told us about this book, then only in the pipeline, so I was very pleased to purchase a copy when it did become available. There is a review of this book by Miriam Schaer in Bone Folder, Vol 6, No.1, Fall 1909. If I may quote from the back cover : Acclaimed book designer Ed Hutchins creates artist books that spring to life in delightful and unexpected ways. Combining eclectic materials and ingenious formats with unusual printing techniques and advanced paper engineering, his hand-made books blow apart the traditions of the bindery, while infusing traditional forms with new meaning. Hutchin's inventions and variations expand the boundaries of bookmaking in unimagined, and not soon forgotten, directions." To watch Ed make and manipulate his books is an inspiring experience and certainly one I'll always treasure. My good friend GB gave me this book for my birthday - very clever of her, I thought. Thanks, GB. 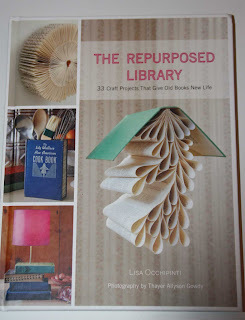 This book has some quite quirky ways of repurposing books, and a couple I'll be putting into use. My only complaint about this book is that the print is fashionably pale and I find it hard to read with my aging eyesight. I've noticed this trend lately when I've bought magazines and while a pale green page with yellow print looks very attractive, it just is impossible for me to read. No doubt this is all aimed at a younger demographic but I do feel slightly miffed when I have to stick my head under a lamp just to read a few lines. 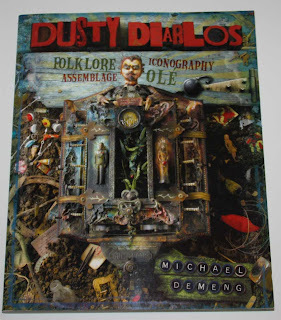 I mentioned last time that I'm again doing an online course with Michael deMeng (power tools, vroom, vroom...) and after being lost in the mail for months I finally received this copy of one of Michael's books. 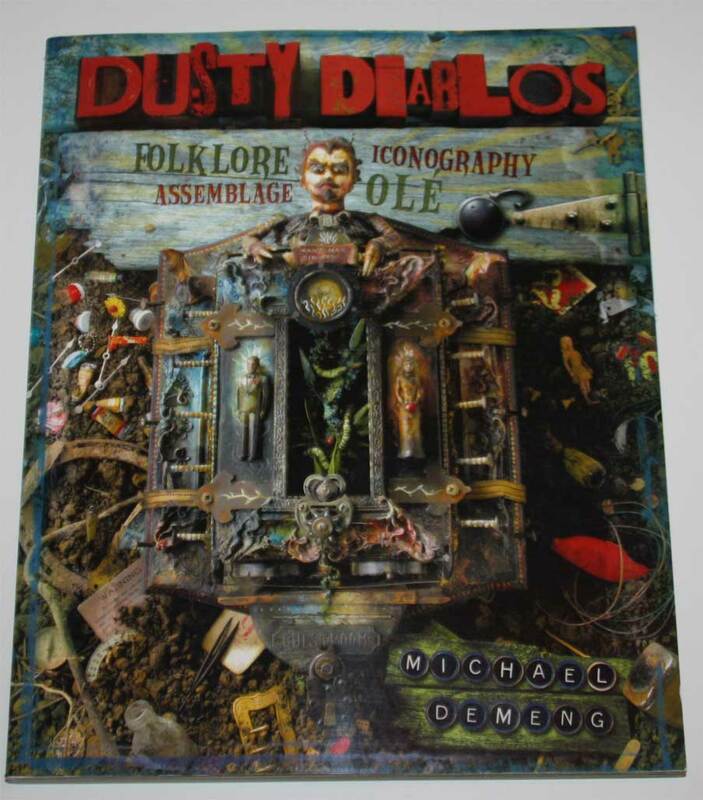 I still haven't assembled anything, book making taking all my time and space, but my collection of rusty things grows apace and threatens to overpower me. I've discovered that I can sit and watch TV while dismantling electronic gadgets - though I am wondering how many circuit boards any one person can use. I've finally completed my latest pile of books for "the shop", they look great, thank goodness, and tomorrow I will clear the decks to get down to serious work on my BookArtObject edition. I want to complete the 20 volumes by the end of June before I go off to puppy sit for a month. I suspect I'll be taking more books for "the shop" to do while I'm away. I can't get enough of these Sulphur Crested Cockatoos. This one has picked a lemon from the tree next door and is busily chomping a hole in it. 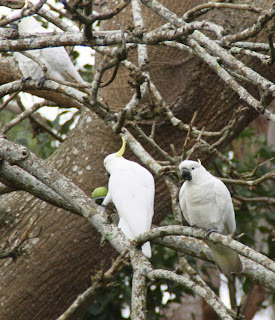 A few bites and the lemon is tossed to the ground and the cockatoo goes off to pick another. A flock of cockatoos can demolish your orchard with no trouble at all. In fact they seem to get a kick out of just picking and dropping fruit. They are the vandals of the garden, only topped by the fruit bats, who also do a lot of tasting and tossing. Please have a look at my previous post - I've added some photos. More birds I'm afraid but I'm pretty much hooked on birds as you may have noticed. Another beachy pic to finish. 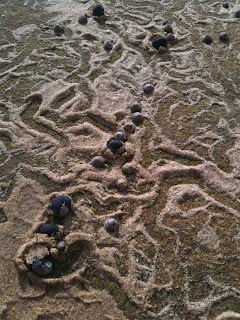 I just love these sand trails, don't you? Ronnie: We live a short distance from a flying fox colony in a nearby forest - I haven't seen it yet but I imagine they've made a bit of a wreck of that part of the forest. I don't mind sharing with them (and the cockies) but I wish they'd eat the fruit rather than sampling and throwing away. I am sure they are very destructive, but sometimes the naughtiest birds are the most charming. Maybe I wouldn't find them so charming if it was my precious crop :-) I once had a squirrel throw an apple at me when I tried to chase him off my bird feeder (he'd already chewed the perches of another one). Angela: The cockies are certainly full of charm but they are real garden vandals. We don't have squirrels in Australia so to me they have the romance of Beatrix Potter about them, but no doubt they are capable of great mischief too. Squirrels, possums, cockatoos, dogs, foxes,raccoons,wild pigs et al. I think I've had 'em all. And, in their place, all OK.
Not keen on the neighbours' sprinklers kicking in ,noisily, at 1am! hope you have a wonderful vacation dog sitting! Thanks for the bookbinding books tips, Carol -- these will go on my reading list. 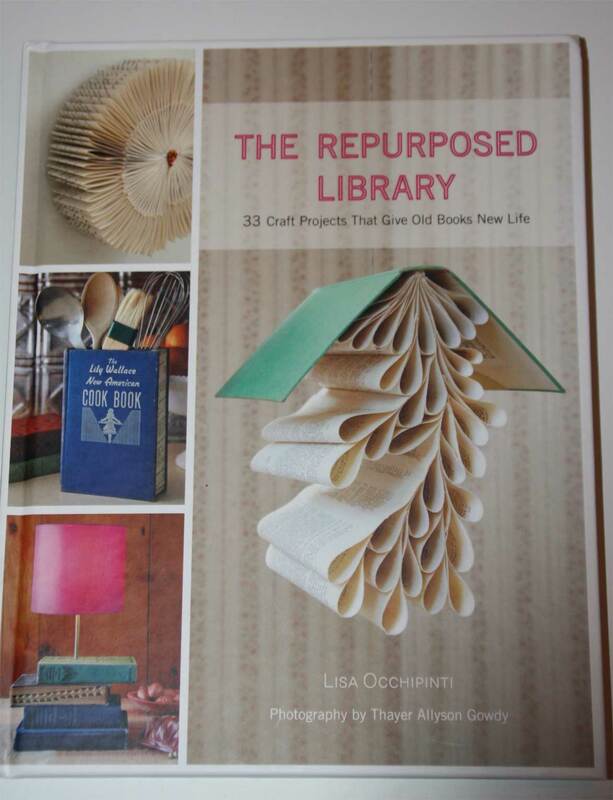 Another fun book is "Books Unbound: 20 Innovative Bookmaking Projects" by Michael Jacobs. 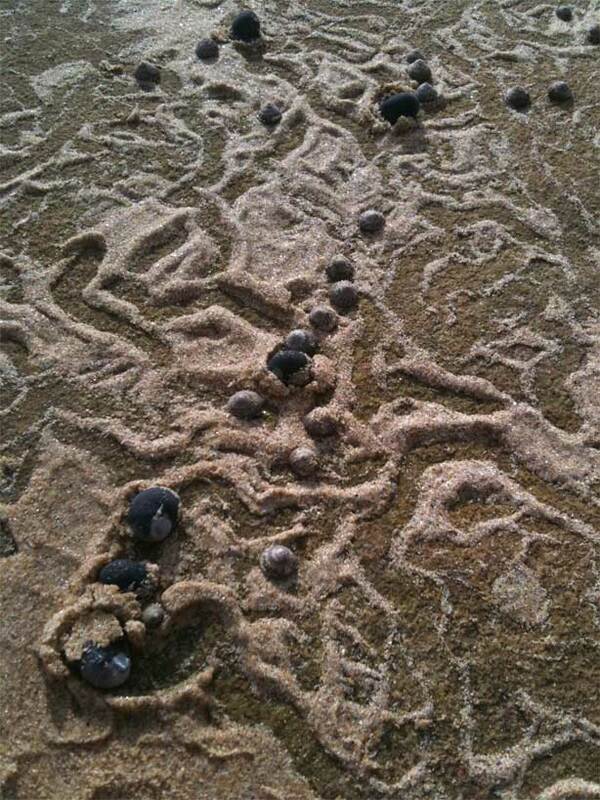 Has lots of imaginative and unusual ideas. It seems I missed this post Carol - I think it was just when I was flying home. What a good friend - someone who knows you well, obviously. I love it when someone gets it so right. Not only because the gift is lovely or apt, but because it makes me feel "known". It's great that you've been enjoying your online course. 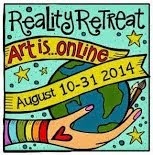 You inspired me to enrol for one in October - one about working with encaustic paints. I'm really looking forward to it. Sometime I'd love to see your books that you make for the shop. Or wouldn't that be allowed? Surely it would be good advertising?